Is America on the Brink of Another Iraq War? President Obama must seek authorization for any further military action from both the UN Security Council and Congress. The United States is now at war with the Islamic State, the ruthless jihadi organization that controls much of eastern Syria and western Iraq. The air drops of humanitarian supplies to tens of thousands of besieged Yazidis, who are threatened with genocide by the fanatics of the IS, has justifiably earned widespread support. But those air drops, combined with US airstrikes against IS forces advancing on Iraq’s Kurdish region, mean that less than three years after the departure of ground troops, American armed forces—including at least 1,000 military advisers—are back in Iraq. Although the White House says that the airstrikes will be limited in scope, President Obama has brought the United States to the brink of a perilously slippery slope. Indeed, the administration, which says its air campaign could take months, has begun to deliver arms directly to Kurdish forces, and the Pentagon is now considering sending a limited number of ground troops to facilitate the rescue of the stranded Yazidis. The administration has already come under pressure from Republicans to deepen the intervention. The United States certainly bears great responsibility for the staggering crisis in Iraq. We destroyed Iraq’s political institutions, its military and security forces, and much of its infrastructure, leaving hundreds of thousands dead in the wake of our 2003 invasion. So it’s not wrong to argue that Washington should do what it can to right the wrongs perpetrated by the Bush administration. But another armed intervention cannot “fix” Iraq. However well intended, it is only likely to make things worse. The current crisis is fundamentally political, and regional in scope. Washington therefore needs a new political and diplomatic strategy to contain the Islamic State in Iraq and Syria, and to dampen the Sunni-Shia civil war now spreading throughout the Middle East. It’s encouraging that Iraq’s Parliament and new president have agreed on a prime minister to replace the discredited Nuri al-Maliki, whose divisive policies and brutal repression convinced many Sunnis either to support or acquiesce in the Islamic State’s offensive. President Obama was right to support Maliki’s ouster, which could pave the way for a more inclusive and unified government in Baghdad. That’s the only way to undermine the Islamic State’s support among Sunni tribes, former Baathists and others who have been burned by Maliki’s sectarianism. The United States could further ease the crisis by ending all military support for Syria’s rebels and pressuring the Saudis and other Gulf States to do the same; jihadi extremists, including the Islamic State, now dominate that rebellion. 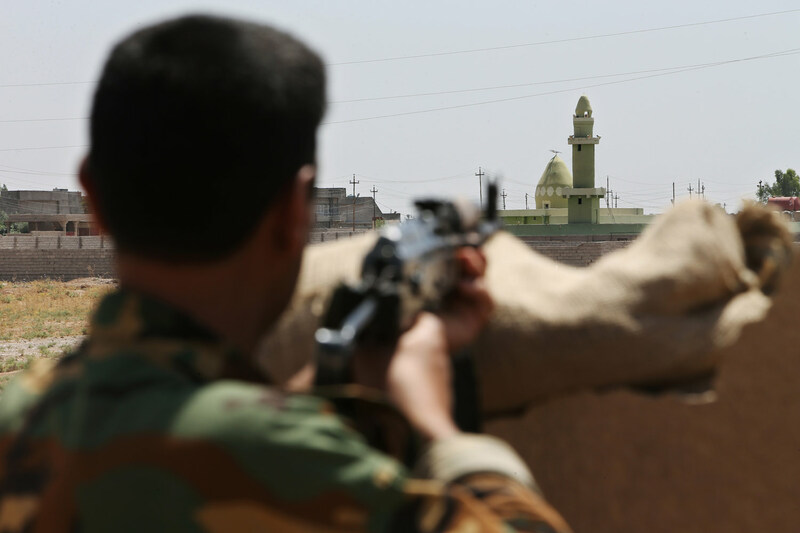 More broadly, Washington must encourage Saudi Arabia and Iran, along with Turkey, to wind down the Sunni-Shiite confrontation that is fueling the wars in Iraq and Syria. And it should rally the international community in support of such an effort. Only a concerted easing of tensions can solve the crisis engulfing the region.